KeyBank® – Morse Watchmans Inc.
Why KeyBank for Your Key Control System? Morse Watchmans, the most recognized name in key control products, developed the KeyBank key management system to help you maintain total accountability of large quantities of keys. 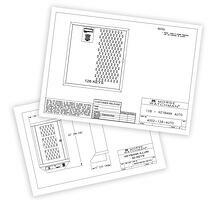 Designed as a replacement system for manual key storage and tracking, the KeyBank® key control system eliminates outdated key boxes and the paper chase created by outdated manual logs and provides extensive protection from liability issues. 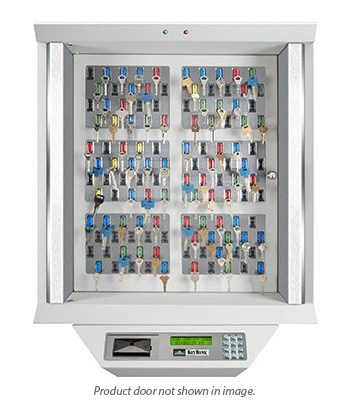 The key management system offers high-volume key facilities increased security and control, preventing unauthorized key access and reducing lost or misplaced keys. 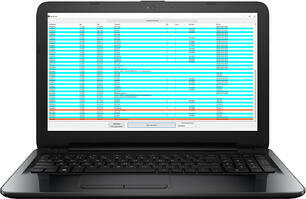 Computerized control and real-time accountability offers system managers increased productivity and reduced liability. Morse Watchmans also carries a touch screen version of this key organizer system, KeyBank Touch. This key storage system provides additional functionality and integration capabilities. The KeyBank® features an updated storage system with individually illuminated SmartKey locations. This allows for instant visual identification of the SmartKey requested by the user. Electronically monitored, color-coded and virtually tamper-proof, SmartKeys communicate directly with the KeyBank® system. The access history of each key is instantly recorded, so you always know who has which key and when it was taken. KeyBank® allows you to program and generate reports using the built-in, 12-button alphanumeric keypad and backlit LCD. 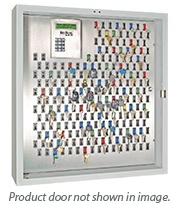 The key storage system is capable of operating as a stand-alone unit or in combination with Morse Watchmans KeyPro™ Software that enhances the installing, programming, customizing, maintaining and reporting capabilities.